Lucius Domitius Aurelianus Augustus was Roman Emperor from 270 to 275. Born in humble circumstances, he rose through the military ranks to become emperor. During his reign, he defeated the Alamanni after a devastating war. He also defeated the Goths, Vandals, Juthungi, Sarmatians, and Carpi, and he restored the Empire's eastern provinces after his conquest of the Palmyrene Empire in 273. The following year he conquered the Gallic Empire in the west, reuniting the Empire in its entirety. 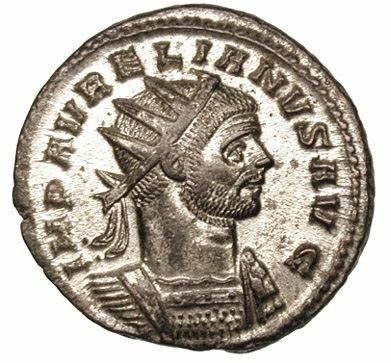 His successes were instrumental in ending the Roman Empire's Crisis of the Third Century, earning him the title Restitutor Orbis or 'Restorer of the World'.